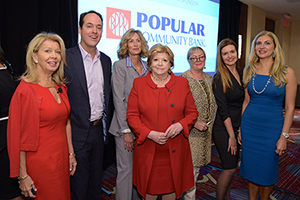 More than 400 attended the Global Real Estate Summit NYC, held Oct. 2 and hosted by the Hudson Gateway Association of REALTORS® (HGAR) and the Staten Island Board of REALTORS® (SIBOR), the organizations recently announced. Summit speakers were associated with a variety of businesses and organizations, such as: American Homes Group; Sotheby’s International Realty; Brown Harris Stevens Residential Sales; Wells Fargo Home Mortgage; China Construction America; Global Property Systems; Global Properties Realty & Investments; The Jills® Group; Douglas Elliman Real Estate; HomeSmart Connect; ECI Development; the National Association of REALTORS® (NAR); Bespoke Global Property Group; RE/MAX; Century 21; BLOC Residential Corp.; Compass; Christie’s International Real Estate; and the New York Wheel. Additional summit sponsors included: New York State Association of REALTORS® (NYSAR); HSBC; RE/MAX; Freedom Mortgage®; Empire State Bank; The Nicotra Group; Dolgetta Law; ShowingTime™; and the law firm of Merlino & Gonzalez. 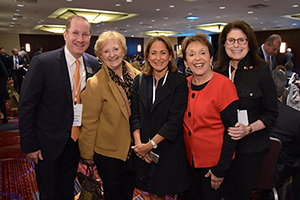 “This is our first year participating in this exciting event and we were excited to provide a wealth of valuable information for all of our members in the Hudson Valley and Manhattan,” says Richard Haggerty, CEO of HGAR. The Global Real Estate Summit NYC took place at the New York Marriott Marquis. For more information, please visit www.globalrealestatenyc.com.